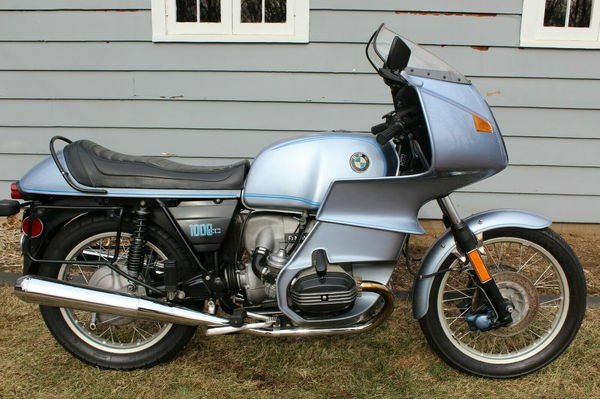 This is a super nice original, first year BMW R100RS 40mm Non CFO motorcycle that I bought from a certified master BMW motorcycle mechanic. Nice original bike and while it's not perfect it is very clean with an authentic original patina. The seat pan shows some surface rust but could be restored very easily. Major recent service done at MAX Troy, NY this past fall. The bike runs and rides really well, is extremely clean and is a pleasure to ride. I am amazed at how fast it still is and being a 40mm bike with the European final drive it'll cruise all day long at 80-90 mph!